Stating that the employees have been informed of this arrangement, the company said as per local laws and regulations, all employees will receive their full salaries during these paid holidays. The company said it was taking part in the conciliation meeting with the registered trade unions and employees to "clarify this arrangement". On the suspension of production from December 24, the company said it has come into effect as previously indicated. "We continue to work with the government and relevant labour unions to reach an amicable compensation arrangement in a manner that follows all relevant laws and regulations and is fair to the affected employees", it said. The firm was also undertaking restructuring of its operations in India to ensure that it was able to meet both the current and future needs of customers in that "important market". "We will continue to consider investments in manufacturing operations in India when they make sense commercially and when they are consistent with the needs of our customers and our strategy for continued sustainable business growth", it said. While two rounds of talks were held in the presence of Assistant Labour Commissioner at Sriperumbudur, third round of reconciliation talks is scheduled to be held tomorrow. Soon after the firm announced its decision to suspend operations at the Chennai plant where it had invested about Rs 850 crore, employees were up against it fearing job losses. 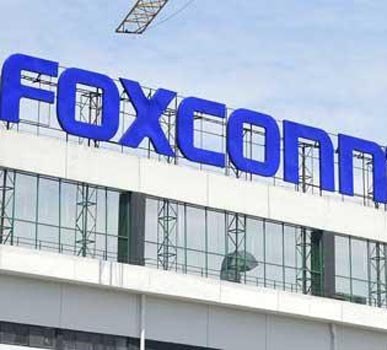 On December 23, employees led by Foxconn India Employees Union President And MLA A Sounderarajan tried to make a forced entry at the gates of Nokia Special Economic Zone where the plant is situated. However, the employees were taken into custody and released later.